In high-brow British society, it was considered bad form to discuss politics at the dinner table… I’ve never been one to follow social mores, and Kristina, my second-in-command here at L’Affichiste has been loathe to have a politics month on posterromance but with an election looming in Quebec, she’s finally permitted me to have my way. At least for an entry or two… if I don’t write about the looming election in Quebec. (Reminds me of a very funny episode of Faulty Towers which you can see here. In France during World War I, the artists who produced posters for war bonds and to rally support for the war effort were called France’s secret weapon. These highly skilled posterists were able to summon the most patriotic sentiments, and they weren’t above using scantily clad women as in this poster, where Marianne, the national emblem of France and and an allegory of Liberty and Reason uses Napoleon as her shield.Some of the most interesting and salient posters in history were produced for political reasons. Parties in power, parties who wanted to be in power, government bond issues – all used posters to their advantage. A powerful political poster with bare-boned graphics and a very limited color palette is a more modern example of an effective political poster. In 1961 France was consumed with the ‘Algerian Question’ and that is what this poster deals with. The Committee for Peace in Algeria (Comite pour la Paix en Algerie) was protesting what it called the fascism of the OAS against Algeria. Published by aprinting house that called itself The War (La Guerre) the viewer is clearly brought into the forefront of the action. Even music sheets – which are often as detailed as their larger poster cousins – were often used as effective political tools. 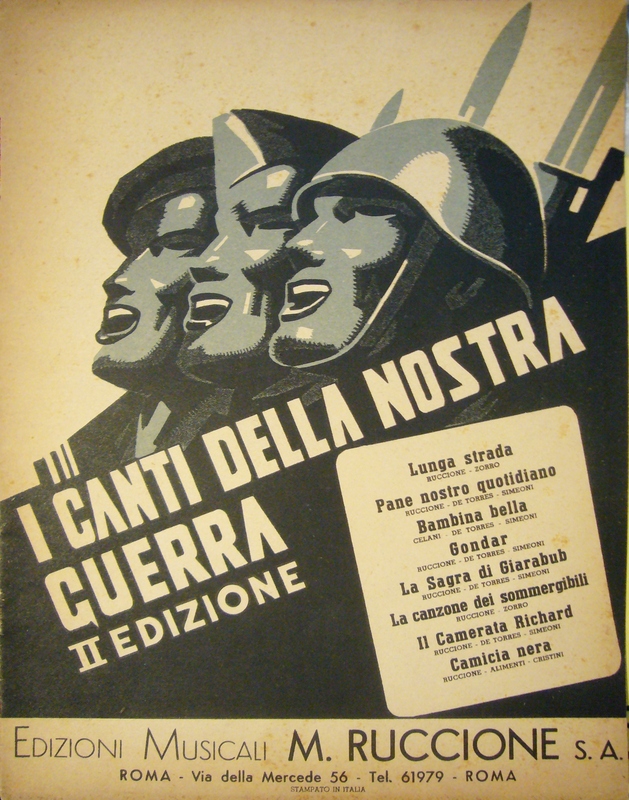 Fascist art like this is considered very collectable in Italy – not because it is Fascist, but because it recalls a period in Italian history where art and design were as regimented as the politics and war of the country. In that sense, this is a special and unusual piece. (Here’s an example of what these songs would have sounded like this! Previous Cooking While Inspired by Food Posters…. Next Lights, Camera, Action…& Posters!